I was taking a look at the calendar today, and I am totally befuddled as to where January seems to have gone! Valentine’s Day is in two short weeks and lucky for you, we have about a trillion options to help you make your sweetheart swoon. Around here, cake is king. 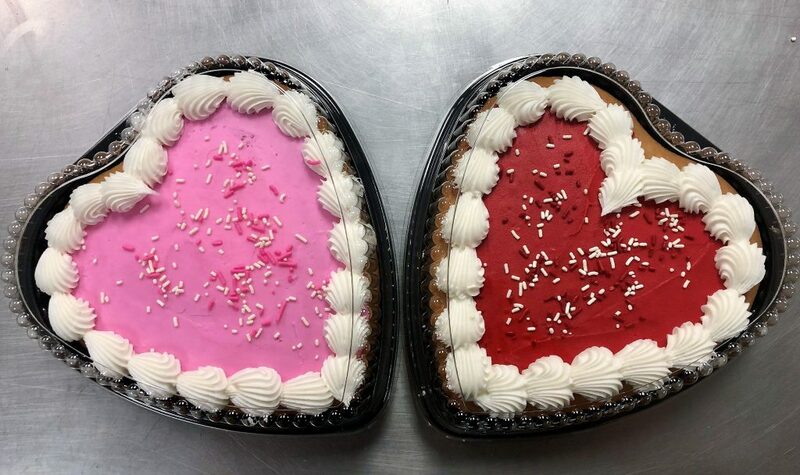 For the last several weeks, we’ve been churning out beautifully simple heart cakes that are perfect for showing your special someone just what they mean to you. Not too big and not too small, this cake for two can be paired with a crisp bottle of wine or a cool can of Bud Light – whatever your celebration style. 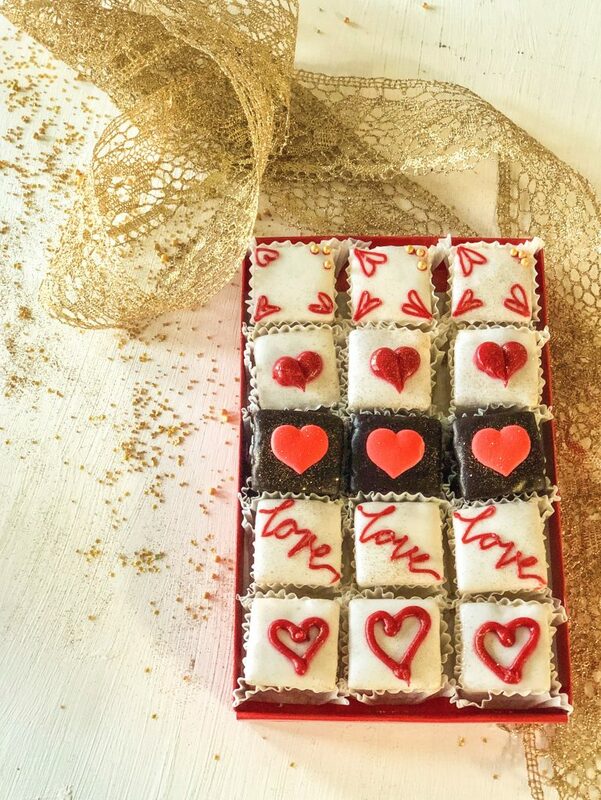 Petit Fours are the perfect dessert for just about any holiday, but they are prime for Valentine’s Day. 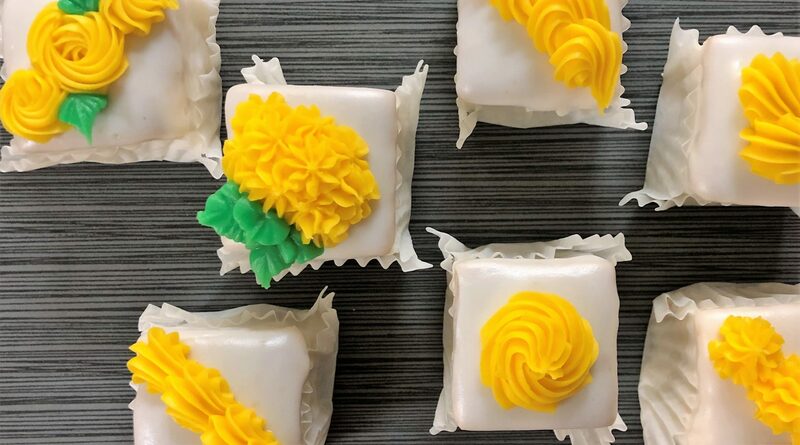 Our tiny cakes are completely customizable and are reminiscent of the more traditional box of chocolates. 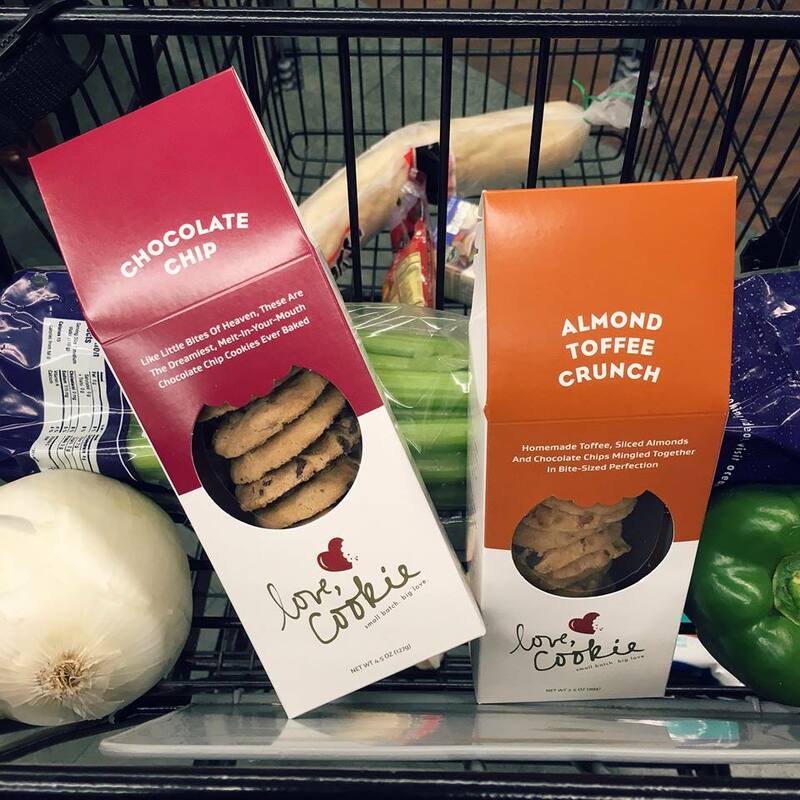 Love, Cookie, our in house cookie brand, is almost too obvious of an option for your significant other. With delicious flavors like Midnight Almond and Lemon Cooler, they’re sure to fit the tastes of almost anyone. Plus, it says Love right on the packaging, making it a clear choice to show someone just how you feel! 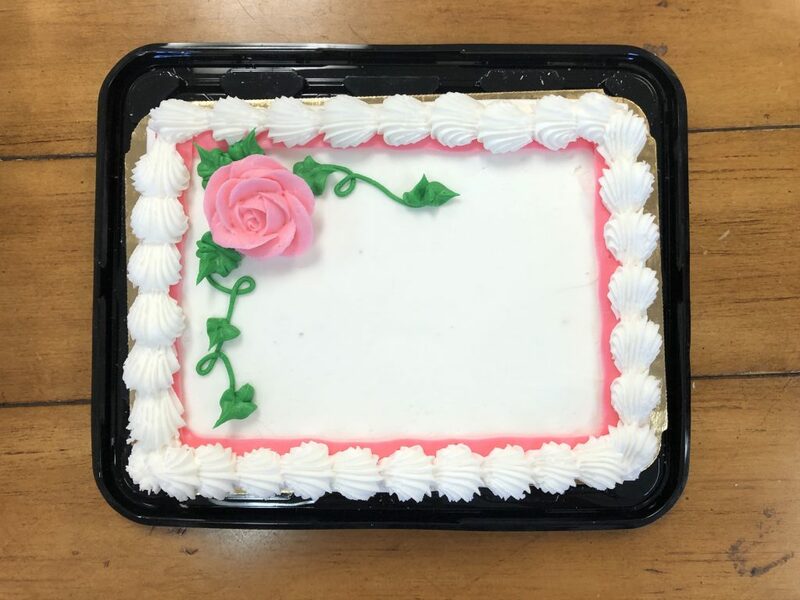 Our eighth sheet cakes are an everyday product that can easily become a delicious and celebratory dessert. With three flavors, and an elegant hand piped buttercream rose on top, these say “I love you” without excessive fanfare. 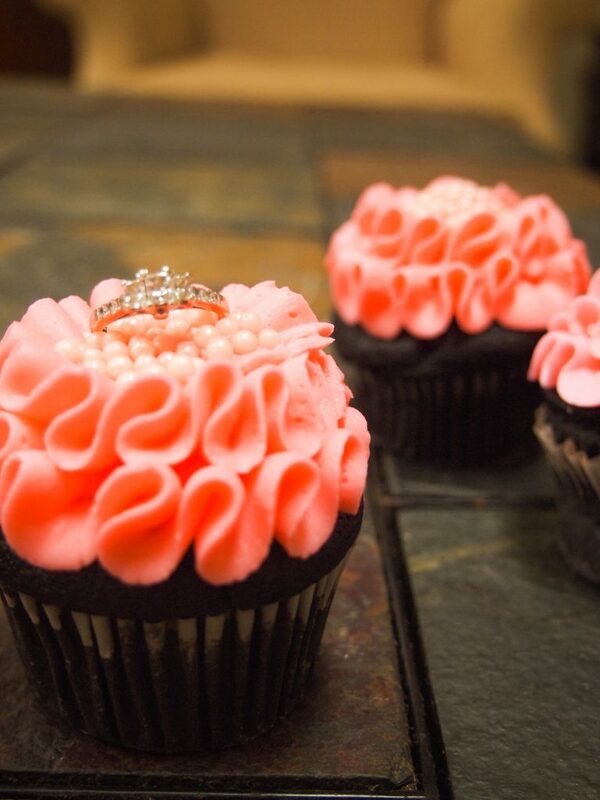 Cupcakes If you’re looking for a dessert as timeless as it is delicious, then cupcakes are a no-brainer. Simple, tasty, and loved universally, they’re sure to make your partner swoon.